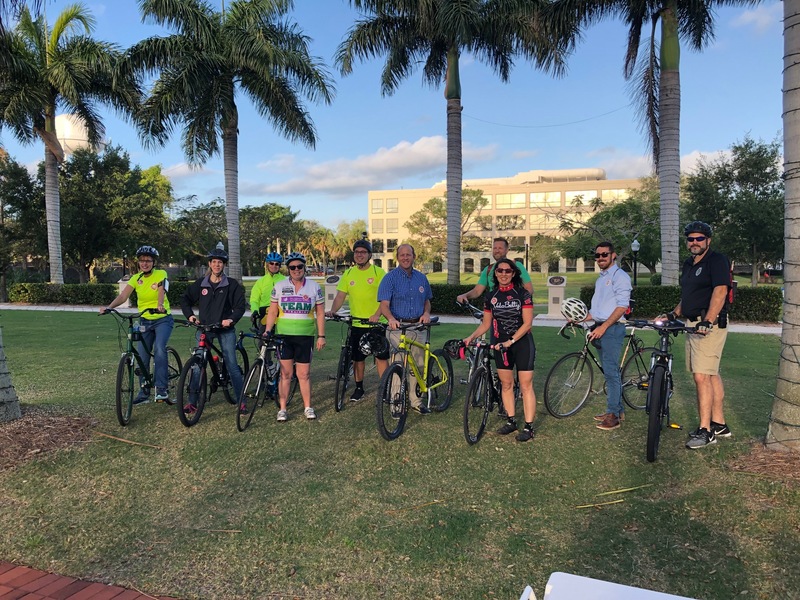 Thank you to all those who participated in the Bike to Work Day Event on March 29, 2019! 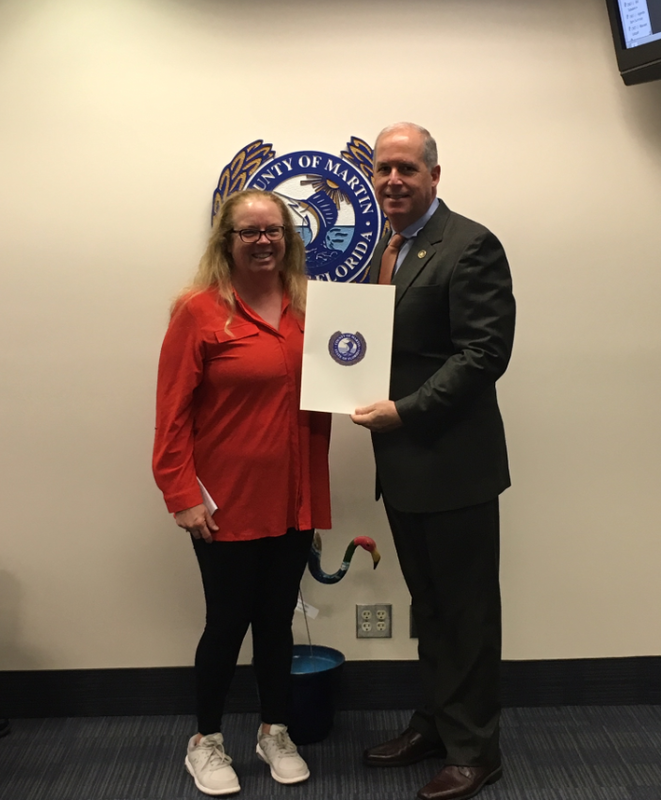 At the March 19, 2019 Board of County Commissioners Meeting, a Proclamation Declaring Florida Bicycle Month and Bike to Work Day in Martin County Florida was presented. This Proclamation was accepted by Joan Moore, Chair of the MPO Bicycle-Pedestrian Advisory Committee. 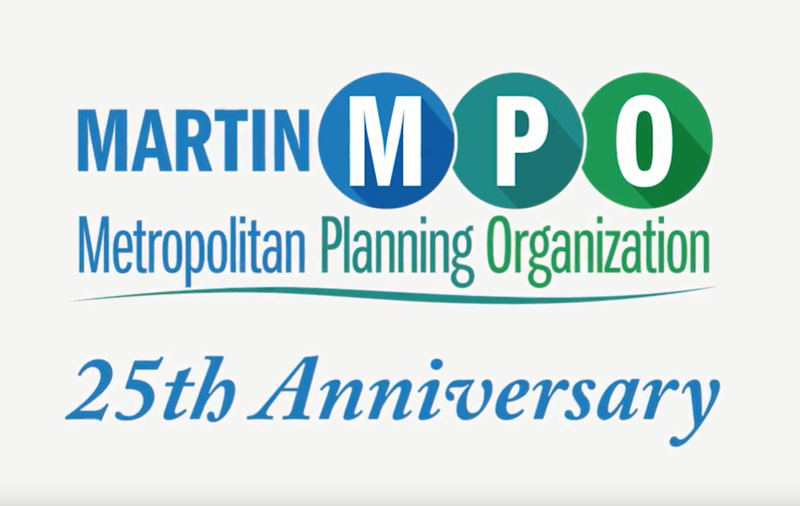 The Martin MPO held its 25th Anniversary at the December 10th MPO Policy Board Meeting. Thank you for all those who participated! The Martin MPO is 25 years old! 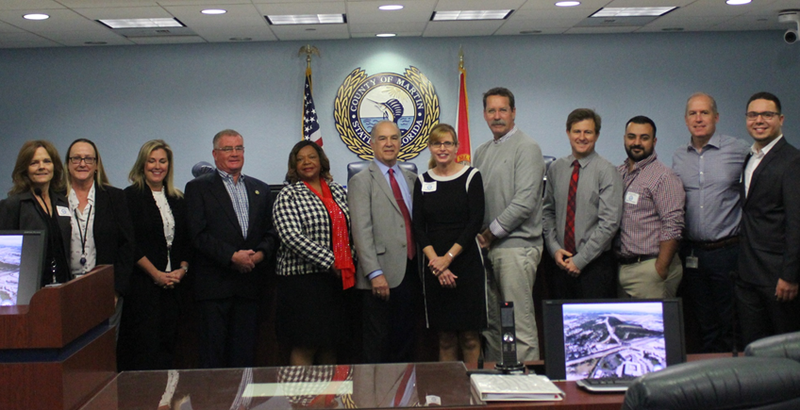 Click here to watch a video about the history of Long Range Transportation Plan Project Implementation in Martin County. 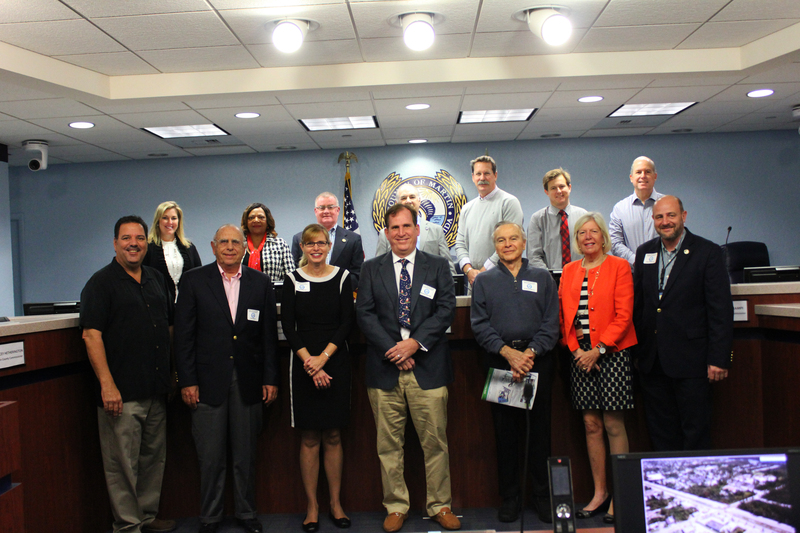 Thank you to the past and present Martin MPO Board Members for participating in the Martin MPO 25th Anniversary Event! 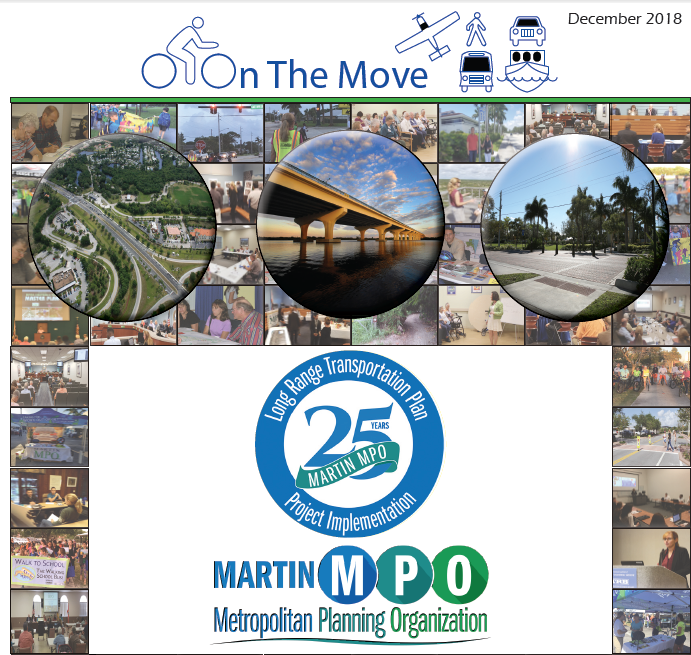 Click here to read the December 2018 MPO Newsletter! 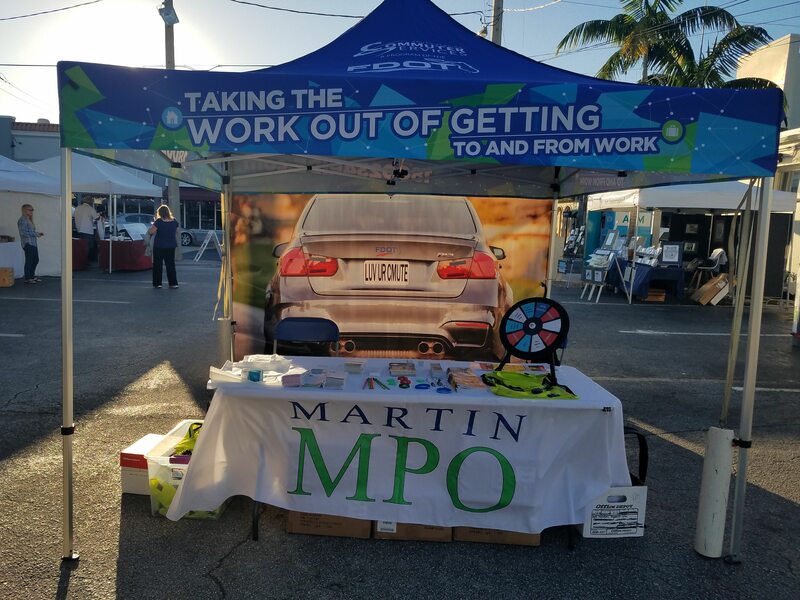 The Martin MPO and South Florida Commuter Services participated in a Parking Lot Safety Campaign in Downtown Stuart on October 28, 2018. 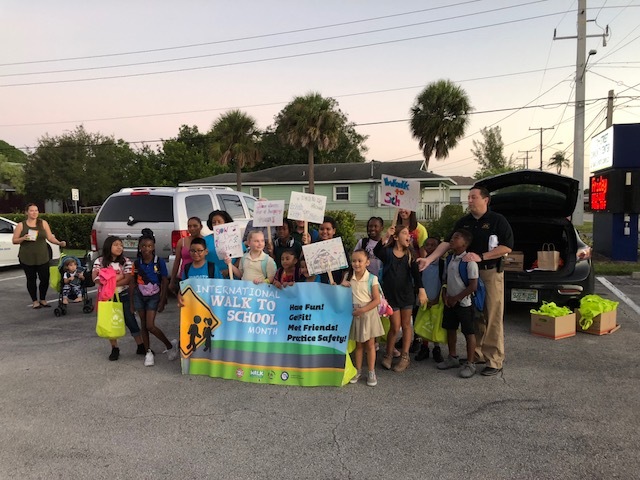 On October 10, 2018, MPO Staff participated in the National Walk to School Day event at Pinewood Elementary. 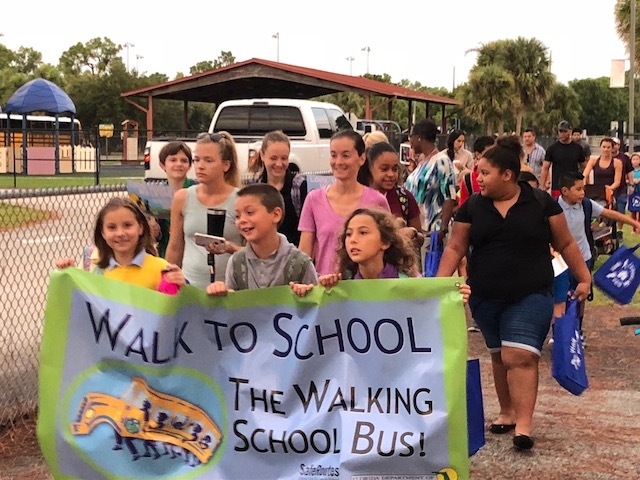 MPO Staff participated in National Walk to School Day at J.D. Parker Elementary School on October 5, 2018. MPO staff gave a presentation about Public Involvement at the 16th National Tools of the Trade Conference in Kansas City, MO. 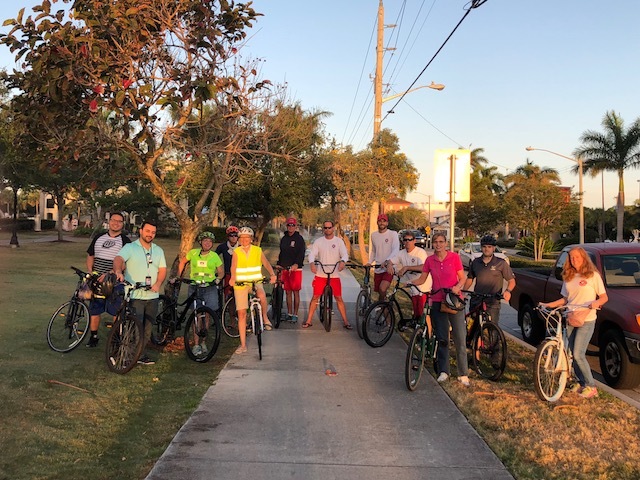 On March 30th, Martin County staff members participated in Bike-to-Work Day! The Bicycle, Pedestrian and Trails Master Plan was adopted on December 11, 2017. To view it, please click here. The Florida Department of Transportation (FDOT) will hold a Public Meeting for the I-95 Intermodal Master Plan on Wednesday, May 1, 2019 from 5:00 p.m. to 7:00 p.m. The meeting will be held at Indian River State College, Chastain Campus Wolf High-Technology Center located at 2400 SE Salerno Rd, Stuart, FL 34997. 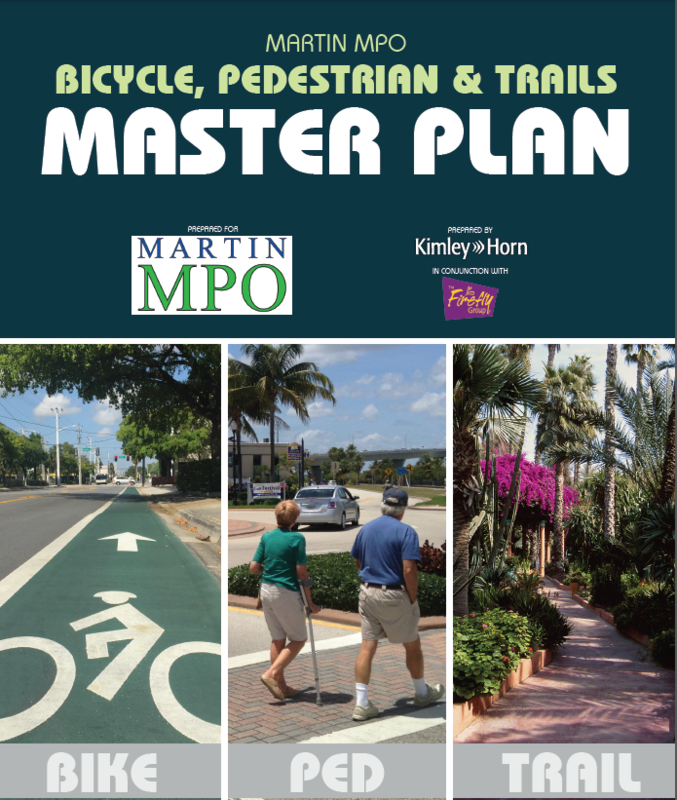 The 2019 Martin County Bicycle & Pedestrian Facilities Map is now available. Click here to view the interactive online version. Click here to view the static map. The MPO Policy Board Meeting will be held on May 20th at 9:00 a.m. in the Commission Chambers of the County Administrative building, 2401 SE Monterey Road Stuart, FL 34996. 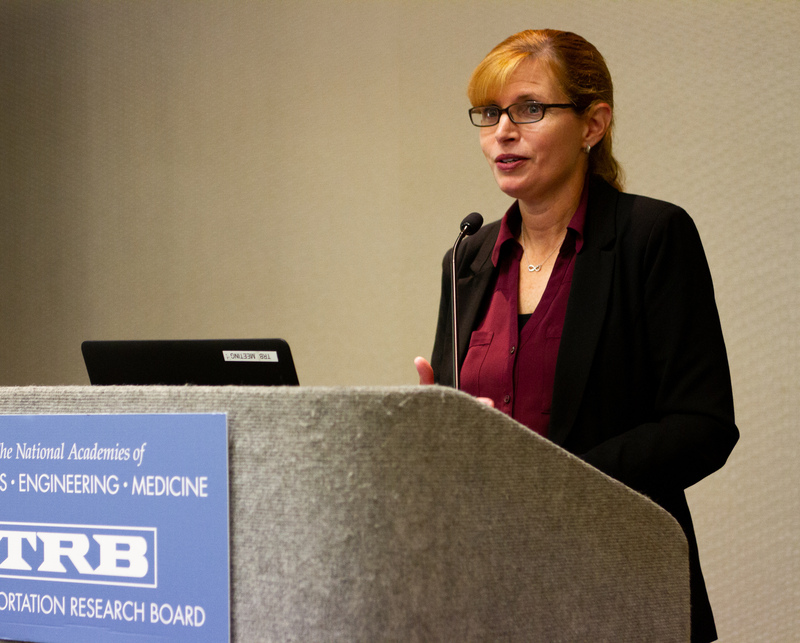 The Local Coordinating Board for the Transportation Disadvantaged will be having a meeting on June 3, 2019 at 10:00 p.m. at the Martin County Administrative Building in the 4th floor workshop room. The Fiscal Year 18/19 – Fiscal Year 22/23 Transportation Improvement Program (TIP) is available to the public. To access please click here. The Unified Planning Work Program for FY18/19 – FY19/20 is now available. To access, please click here.